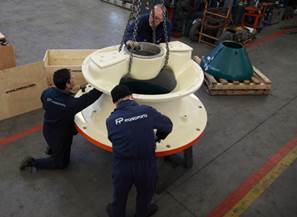 Metso has decided to change its distribution model for Italy. As of January 1, 2017, there will be three exclusive distributors covering the whole of Italy. 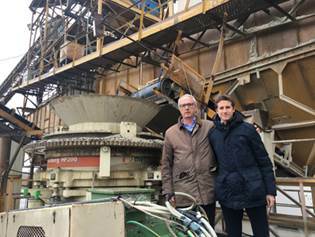 Righini SRL and Frantoparts FP SRL will handle the exclusive distribution of all Metso stationary crushing and screening machines. Righini will cover the provinces of Valle d'Aosta, Piemonte and Liguria, and Frantoparts will cover the remaining provinces. Scai SpA will be the exclusive distributor of the mobile equipment for the whole of Italy. "These three distributors are already our long-term partners with proven expertise and service capability. We are confident that they are the right partners for us for many years to come," says Angel Luis Garcia, Metso's Distribution Business Manager for Spain & Italy. Frantoparts FP SRL has operated in the world of aggregates and crushing and screening equipment since 1983. 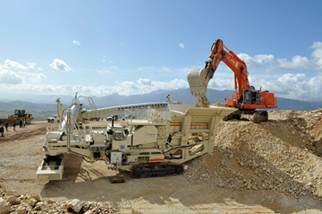 It has also accumulated considerable knowledge and experience with Metso's crushing and screening solutions. In addition to new machine sales, they also offer an extensive range of services, from the replacement of spare and wear parts to on-site assistance, machine revisions and reconditioning. Righini SRL, founded in 1911, provides their customers with a complete range of service - from initial consultation to after-sales service with the supply of original spare parts. At their center in Grugliasco, Torino, they have a large inventory of primary emergency spare parts and the most requested parts, allowing them to react quickly to the customer needs. "Our collaboration with the Metso Group started in 1972. Our goal is to confirm and strengthen the presence of Metso products in our activity area as much as possible," says Ermanno Pavesio, CEO of Righini SRL. Scai SpA has been working in the aggregates business for over 70 years. Today, they offer the new Metso mobile machines and a rental fleet to their customers. They have an extensive network of workshops and rental points from where they operate. According to Scai, they've had positive results with the Metso products and partnership. This new structure supports the value and capability of Scai in all of Italy. They want to offer the best service and be the customer's preferred partner helping them with crushing, recovering and converting materials in a more sustainable and cost-efficient way. "These distributors can help the customers to find the best, most cost-efficient solution in the market. They all believe in continuous improvement of their customer service, and they have the skilled people required to serve the customer in a professional manner," says Dirk Fischer, Head of Distribution Europe at Metso. "We have no doubt that Metso, together with its new distribution network, will rise to new heights as the market has now started to recover," he concludes.